The administration in Kampala feels very envious and ashamed. President Museveni cannot explain why of why he failed to breathe life back into Uganda Airlines, yet next-door neighbour Rwanda he is recently fond of has been flying for the past 16 years. To outsiders, RwandAir is simply a business that the government of Rwanda risked into, but to Rwandans it is more than a business. That is why despite operating on manageable financial loses, its strategic interests and soft power influence have grown enormously to the extent that other big players in the regional skies are rethinking their aviation business models. On April 27, RwandAir will be marking 16 years of uninterrupted operations while Uganda Airlines begun flying again on Tuesday after 20 years of just holding a paper license- that Uganda Airlines Ltd had registered immediately after liquidation, in 2001, of Uganda Airlines Holdings Ltd (UAHL). Aviation business planners in Kigali have been carefully analyzing every possible route and the existing competition. RwandAir has almost reached 30 destinations as Uganda launches into the skies with intentions of starting with 19 destinations. When RwandAir approached Uganda seeking rights on Entebbe-UK route, everything seemed progressing well until turbulence cropped into the process. Museveni rejected Rwanda’s request, aimed at dwarfing Rwanda because he believes Rwanda is beginning to overshadow Uganda, economically. Museveni has never given reason why he rejected Rwanda’s request, even though he reserves the sovereign right not to be friendly. RwandAir has since become a recurrent issue on the agenda in Uganda’s Cabinet meetings, which insiders say has actually divided the cabinet. This prompted Museveni to unilaterally direct a restart of Uganda Airlines, by hook or crook. It took two years of hullabaloo before the airline began operations. 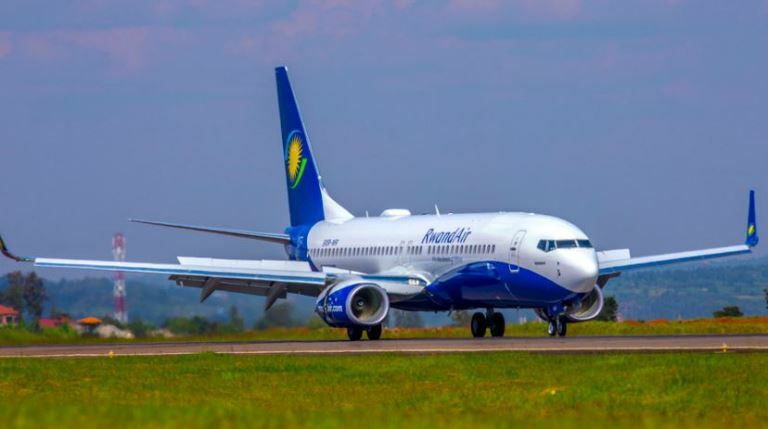 However, two weeks ago a Ugandan cabinet member, Parcis Namuganza, appeared on a private FM radio talk show, making remarks that indicated that Uganda was never happy with RwandAir. Meanwhile, her statement came while technical teams from both countries are still negotiating. Rwanda’s President Paul Kagame had earlier on told Museveni that the license deal was about to be concluded. But Museveni who told Kagame that he would respond to him after consulting with those responsible, instead summoned cabinet and furiously wanted to know why the ‘technical people’ were going behind and doing all these things without consulting the political leadership. Kigali was seeking rights to operate direct flights between Entebbe and China including Entebbe and Juba – technically referred to as having 5th freedom rights. “They wanted a license for 20 years…that was going to deprive our own Airline of business because those are most lucrative routes serving destinations to which most Ugandans travel,” Namuganza said. Museveni had instructed Moniza Azuba Ntege, his Works and Transport Minister, to parallelly ensure a hurried revival of Uganda Airlines and always update cabinet. In one of the several discussions about RwandAir at cabinet level, Minister Azuba told Museveni that Uganda Airlines would suffer a false start if the Rwandans got the 20 year license. Although several Ugandan technocrats believe that the Uganda Airlines deal was not well planned, Minister Azuba told Museveni during a cabinet meeting that these technocrats might have been financially seduced by Rwanda. “It’s possible some technocrats could have got financial gratifications to serve as 5th columnists against the restoration process and its possible they are still active trying to humiliate and demoralize government,” Azuba reportedly told cabinet. State Minister Namuganza who also is a Member of Parliament representing Bukono county, revealed that the Ugandan cabinet believes RwandAir poses a much wider threat to the regions aviation sector. Namuganza said that Uganda was concerned that Rwanda had grabbed its “pearl of Africa” tagline. 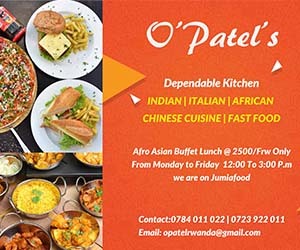 The wordy state minister, who said she was aware of breaching the cabinet Oath of Secrecy, revealed that the Kenyan aviation too was considering severe restrictions on RwandAir as they try to placate their own Kenya Airways. RwandAir is not dettered by all this cutthroat competition and has today, Wednesday flagged off one of its planes to open a new daily destination to Kinshasha, begining with three flights per week in the first phase. “The Day is finally here! Our inauguration flight has just taken off from Kigali International Airport to Ndjili International Airport,” RwandAir said Wednesday. This rivalry, some pundits argue, could add so much to the charms of RwandAir’s desire for continental conquest. To celebrate this milestone, we invited everyone to take photos with their radiant smiles & this is the results. People of Africa really need to put their differences aside and think on a continental level. Stop the inferiority/superiority complexes. We’re only failing ourselves in the end!